March 27, 2018 - Like us now! During this whole month, there has been a lot of fuss about social networks and search engine giants blocking cryptocurrency ads. Twitter, in particular, was rumored to block and crack down on cryptocurrency in previous reports, but nothing was certain at that time. As of now, Twitter has confirmed to Reuters, that they will start banning all cryptocurrency and ICO advertising effective from today, Tuesday. The report follows the recent crackdown of Google and Facebook against crypto ads. 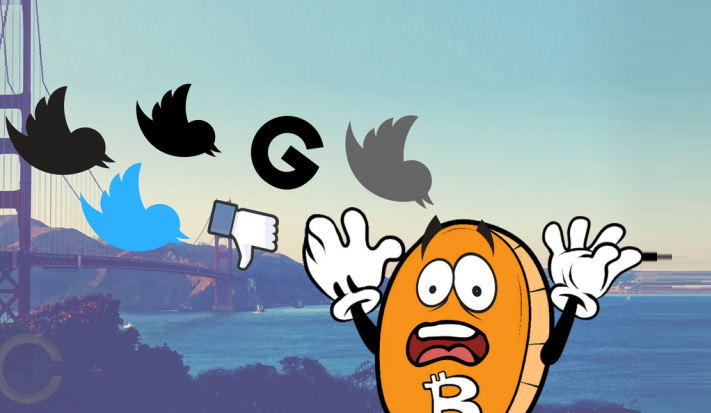 The previous report that Twitter will ban ads for ICOs, token sales, and crypto wallets from most of the crypto exchanges, has been confirmed and initiated from today. The revised policies for these financial services related advertisements will be disclosed in next 30 days, however, some crypto exchanges will get an exception if they are listed as public companies on certain major stock markets. There is a logic to focusing on exchanges from public firms. Companies on a major stock exchange have strict transparency rules and they give a detailed insight of the company they are working with. Twitter has been struggling with serious issues like fake accounts who have been “engaging with others in a deceptive manner” as revealed in a report earlier this month. Following this news, the crypto market has seen a certain downfall, as on CoinMarketCap. Bitcoin fell by 6% in 24 hours and is now trading to a low of $7,895 (as of writing).